On 8 January 2019, a "Stone of Remembrance" was for Wilhelm Goldschmidt revealed. The Rapid lace and many celebrities were present, the media reported (eg derstandard). 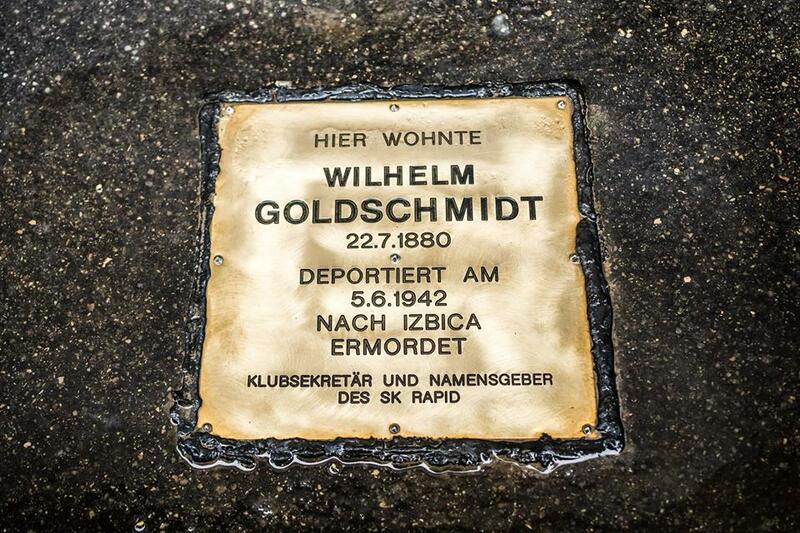 Wilhelm Goldschmmidt was deported on June 5, 1942, the transport 25 from Vienna to Poland and murdered in the Shoah. Rapid celebrating its 120 years of existence, on the club site we find the revelation of the "stone of remembrance" at least as one of the most important activities in this anniversary year. The then secretary of the club, Wilhelm GoldschmidtIt that on January 8, 1899 the first Vienna Workers Football Club was Rapid Sport Club renamed. 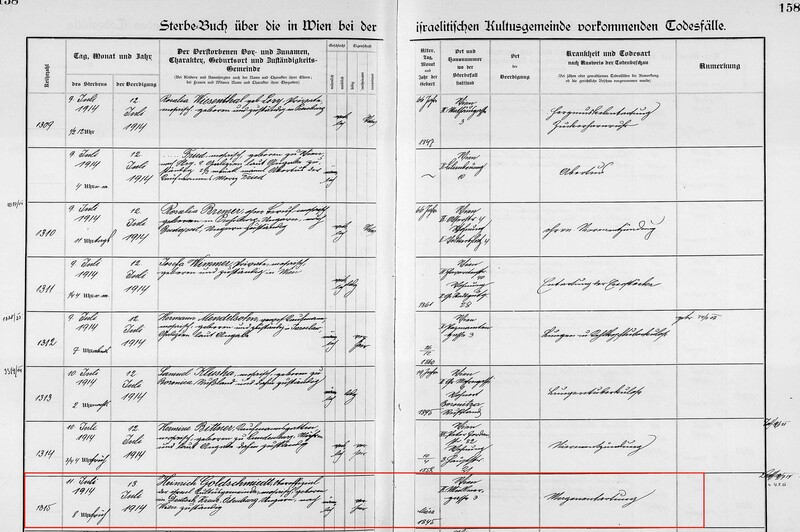 Moreover, unfortunately we know little about Wilhelm Goldschmidt. Henry Goldsmith (Sic! 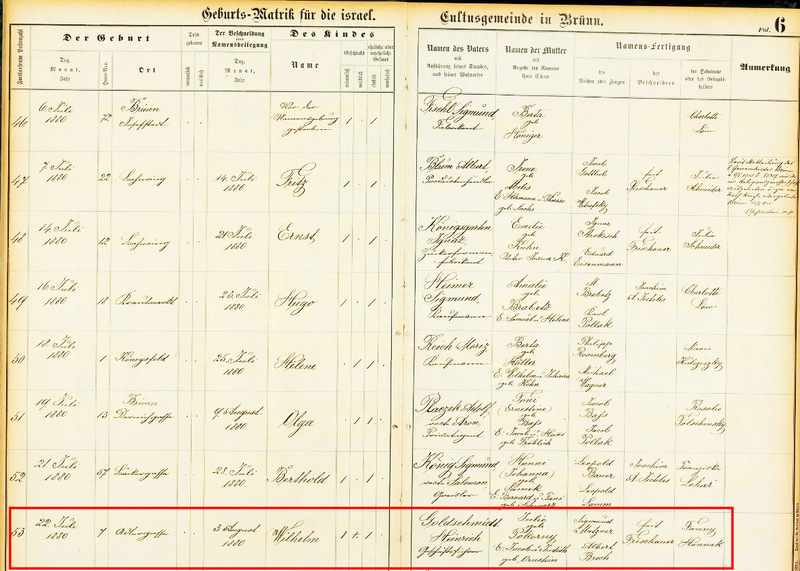 ), Upper Offizial of the Jewish community, born March 1845 (as in the death register entry, see below; in the Geburtsmatriken of German Kreutz we find Ignatz Gold Schmid, born 01 August 1847!) 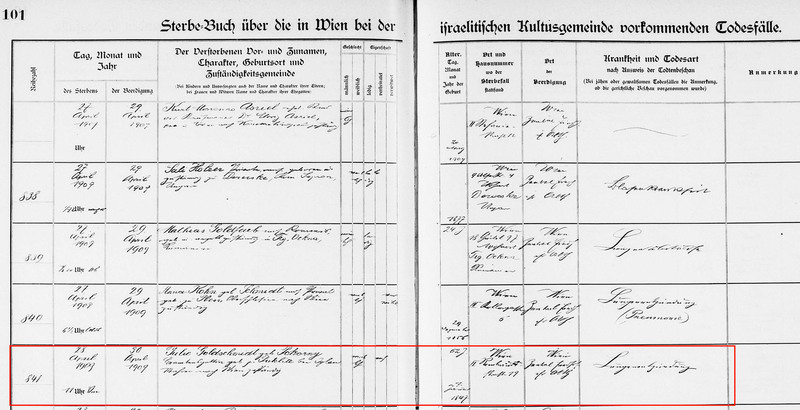 In German Kreutz, son of Carl Goldschmied and the Catti CroatiaBoth parents live in Vienna, Vienna resident Rossau, Porzellangasse 22, married on 17 February 1878 in Puklitz (Czech Republic) Julye Pokorny, Born January 01, 1847, daughter of Jacob Pokorny and the Juditha OrnsteinBoth died from Puklitz. Henry was at the wedding 32 years old, Julye 31 years, both single. 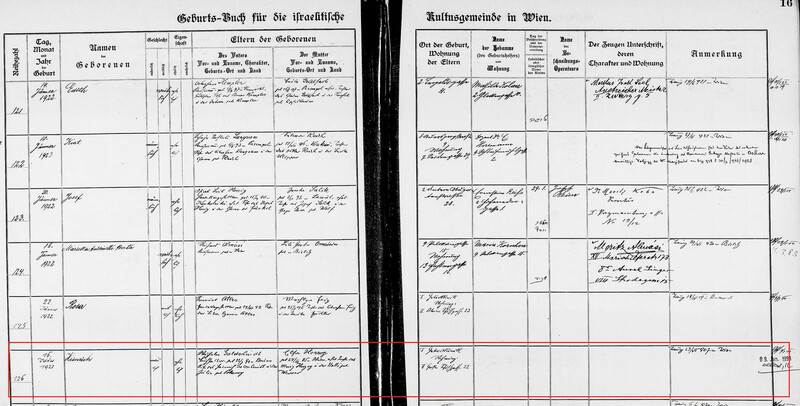 Julye Goldschmidt born, Pokorny, died on April 28, 1909 in Vienna II, Rembrandt 19, Heinrich Goldschmidt died on July 11, 1914 in Vienna IX, Müllnergasse 3. Julye and Henry are at the Central Cemetery of Vienna, Gate I shared buried (Group 051, series 010, grave 004). Father Wilhelm is called in the grave inscription Se'ev (equivalent Wilhelm), mother: Elsa. Heinrich Goldschmidt's wife Chaia Goldschmidt died of 2010.